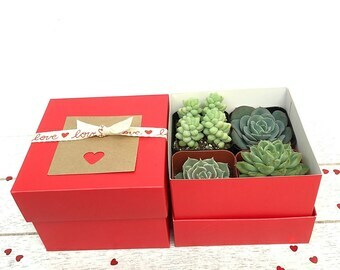 Note Succulents included may vary from pictures, but always a nice combination based on availability. 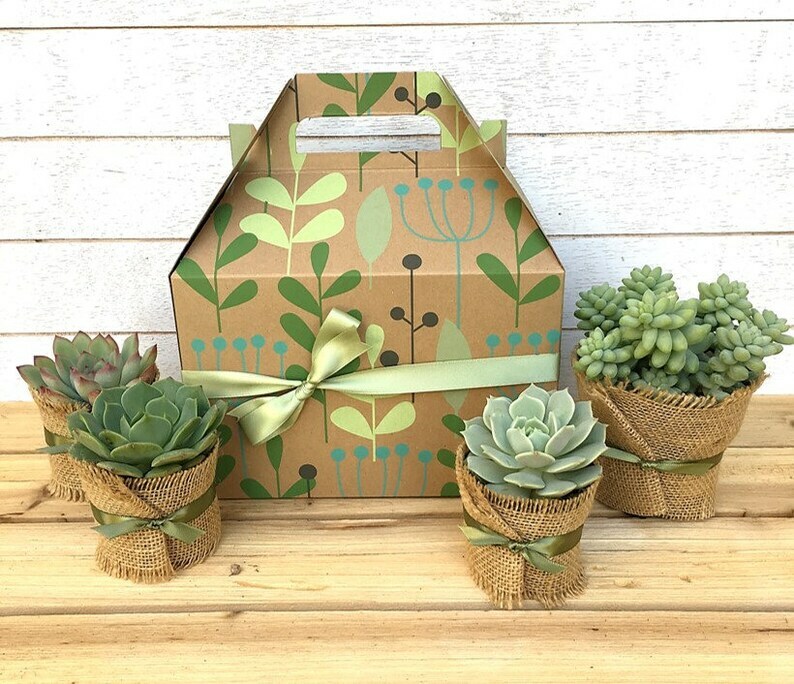 ♥ 3 smaller rooted succulents (Echeveria) in 2.5" nursery container wrapped in burlap, tied with ribbon. ♥ Gift wrapped in beautiful gable style gift box, tied with ribbon - gift boxes size is approx size 8” x 4.875” x 5.25”. We, as an office, bought this as a Retirement gift and you would not believe the ewws and ahhs received. Everyone loved it and more importantly the recipient loved it too. Thank you.